If you find this page to be out of context in a site dedicated to next generation telecom technology, well, it is. For a significant period through the 1980s and 1990s, Sonogy was at the forefront of engineering outstanding solid-state audio electronics. Our focus was to do something which, at the time, seemed impossible: to marry the power, reliability, and cost-effectiveness of solid-state electronics with the natural warmness and harmonic “rightness” exhibited by the finest tube amplifiers, old and new. The two interlocking rings of the Sonogy logo represented the union of these two domains – and our ambition to make the best of both worlds. In fact, the name Sonogy derives from “Son” (sound) and “ogy” (to study) or “The Study of Sound”. Unlike many contemporary firms, we eschewed mysticism and magic, and focused on the known, if ignored engineering compromises being made by most mainstream designers at the time. We also took the uncommon position that empirical data (music) was more important than theory; and that if measurements didn’t correlate with perception, maybe we didn’t know what to measure! The results spoke, or maybe sang, for themselves. 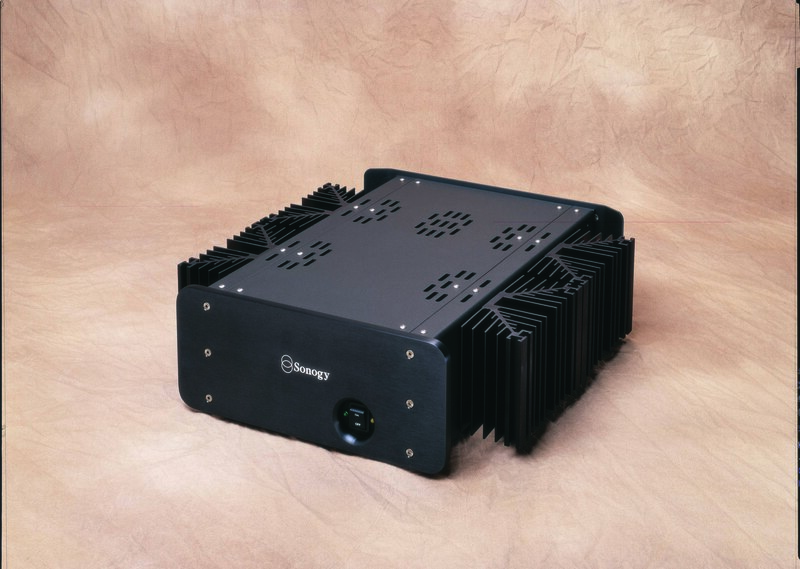 The Cantata power amplifier was a critical success from the first review, and the subsequent “Black Knight” (a name i never much liked, much preferring “Crescendo”) raised the bar substantially, as did its conceptual twins, the Concerto balanced preamplifier and Concept 60 60-watt [mostly] class A amplifier. You can still read old, and even some new, reviews that marvel at the natural timbres and sound-stage. That’s all history now. Sonogy progressed to doing design work for firms with deeper marketing pockets, and in the process likely making a larger, but anonymous contribution to saving the world from bad sound. Today some of the original team have moved back to our roots, leading edge communications technology. But i still play with hifi, and revel in music that sounds like….. nothing more, nor less, than music.